According to the U.S. Department of Labor (DOL), the number of Americans who filed for unemployment insurance last week was lower than expected, especially after the devastation of Hurricane Sandy. Yet, the severe weather on the East Coast may be disrupting the data. Jobless claims decreased by 8,000 to 355,000 in the week ending Nov. 3. One state reported that filings were suppressed due to the loss of electricity. Other states reported that workers who have lost their jobs because of the severe weather were now beginning to apply for benefits. As a part of department policy, the individual states were not named. The DOL predicts up to three to four weeks before seeing to the total impact of the storm on the amount of jobless claims. According to a Bloomberg survey, economists did not forecast significant changes in the number of claims from the prior week at 365,000. In the survey of 51 economists, projections ranged from 335,000 to 450,000. The prior week’s reading was unrevised at 363,000 claims. 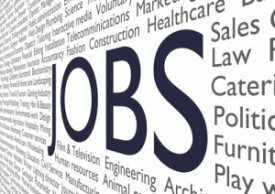 Last week’s jobs report from the Labor Department report showed the economy added more jobs than expected in October while the unemployment rate also increased as hundreds of thousands of Americans rejoined the job search.